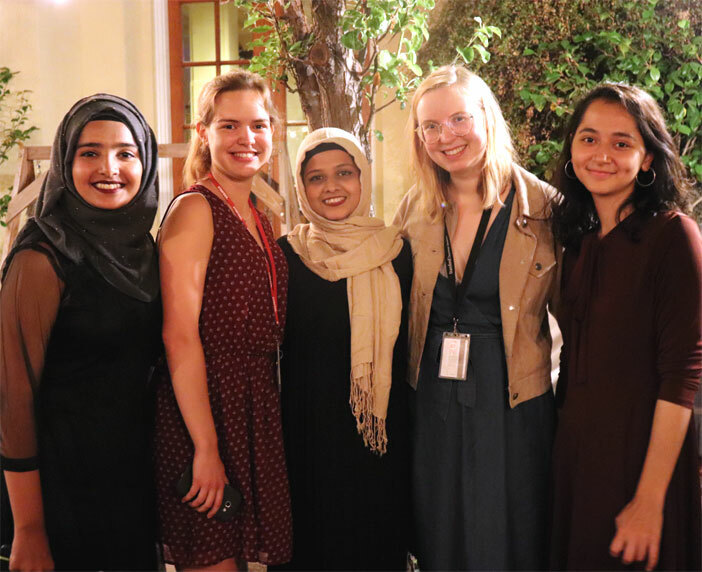 Abiha Batool, one of the ten Habib University students who attended the Stanford Summer International Honors Program (SSIHP) this year, describes her experience. On June 25th, I landed in California. We had missed our connecting flight from Dubai so we were already a day late, and I had lost my luggage at the airport, BUT I WAS FINALLY AT STANFORD UNIVERSITY!! 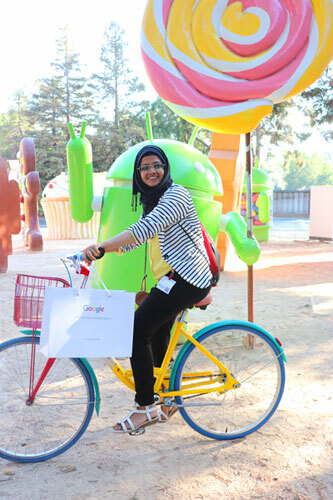 Ever since I joined Habib University, I aspired to be one of the students who represented our institution at Stanford. After a total of three years, it finally happened, but my ride to Stanford was a bumpy one from the very beginning. I almost didn’t make it, but thanks to Habib, my family, friends, and also complete strangers who helped me along the way and trusted me more than I trusted myself, I made it to Stanford. You all know who you are, and it wouldn’t have been possible without your immense generosity, love and support. The first week at Stanford University was hard. I didn’t know the place, hardly had any friends, and had never travelled so far away from home. The first day was particularly difficult because I had no bedsheets, no blanket and no warm clothes (because that lost piece of luggage had everything I had bought). That night I slept on my mattress without a bedsheet, and used my hijab as a blanket. It used to get cold and I had no jacket, or clothes for that matter. I was scared, I felt vulnerable and alone, but I didn’t cry (at least not for the first two days), because I didn’t want to lose control of myself at that moment. I kept telling myself that things will only get better from here onwards. And thankfully they did. From Monday, the schedule became tighter and there was hardly any time to spare. We got ourselves bicycles to help with the commute but since we were not used to cycling, our bodies ached for a good two weeks. My courses included Sustainability Design Thinking, Persuasive Communication, and Drawing and Painting Intensive, and got me busy right away. I absolutely loved painting in the studio till late hours, and also watching the sunset from the rooftop of our studio. 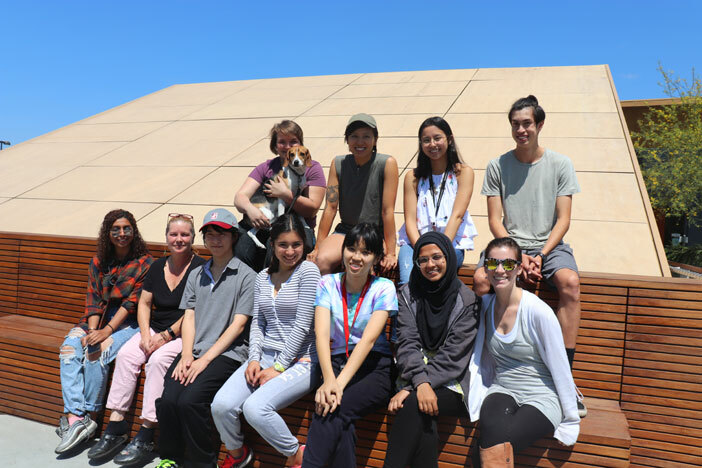 I also really enjoyed the group projects in Sustainability Design Thinking since they helped me look at our world systems from a human-centric design perspective and also allowed me to make friends from around the world. I was also able to build good relationships with my professors, especially Yvette, my art professor, who invested a lot of her time and effort with me, and helped improve not just my work but also my self-esteem. All three of my classes, in their own capacity, taught me more than I had expected and equipped me with skills that helped me grow intellectually and personally. The time that I had left during the week after classes I mostly spent with friends. 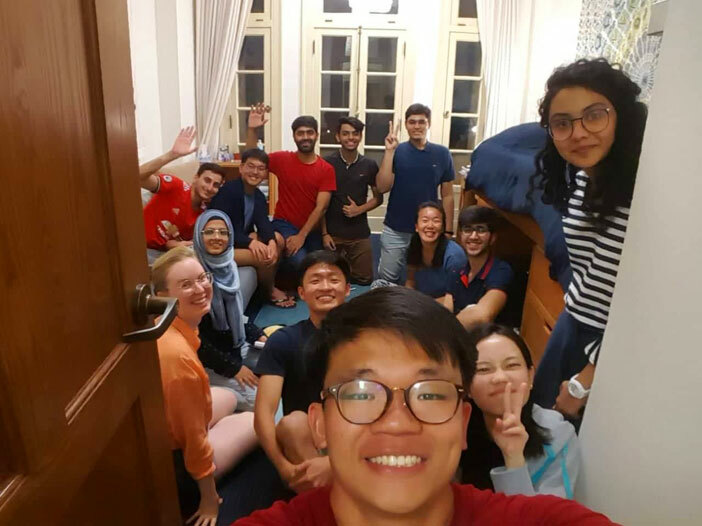 Our Habib group had bonded almost immediately, so from the very beginning we were constantly making sure no one felt left behind and that we were making the most out of this opportunity. But even outside of my Habib group, I made some meaningful bonds and friendships. Varsha, my roommate, was one of the nicest people I met there. We bonded over Bollywood movies, late night sessions where we would just talk about life, and over the fact that we had to share the same room unlike most other people in our dorms. Esha was another great friend that I made at Stanford. She became a part of our gang from the beginning and went with us wherever we went. 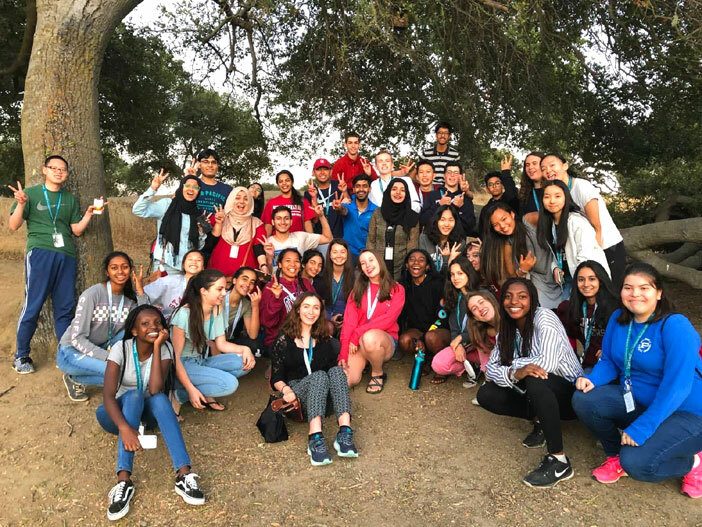 Together our group would not only go on official trips, we would also plan our own adventures so that we could explore as much of the Bay Area as possible. Along with these friends, I was able to explore places like Alcatraz, Big Sur, Santa Cruz, Lake Tahoe, Pier 39th, California Academy of Sciences, Google’s campus and many more places. On the weekends when we had no plans, we all would go to San Francisco. In short we explored the most urban to the most wildest of California, and everything in between. 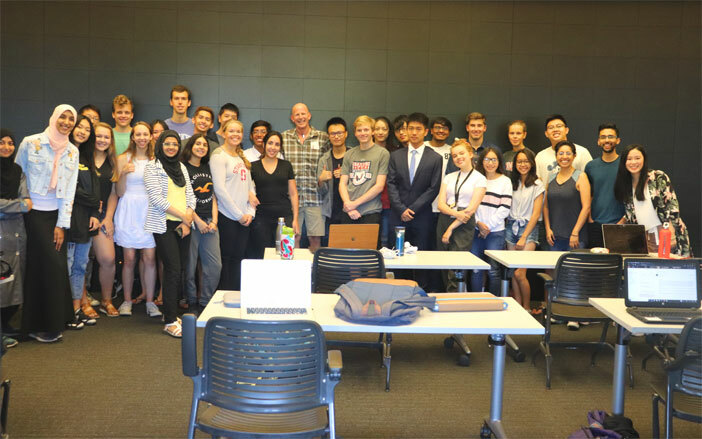 All these plans left us with no time to spare and because so much was already going on at Stanford, we missed out on some things but fervently took part in other events. The highlights of this trip for me were my courses; being able to cycle; watching a theatre performance based on Khaled Hosseini’s ‘A Thousand Splendid Suns’; and just sitting together with my Habib gang in one of our rooms and doing assignments/wasting time/singing songs or exploring the campus together. 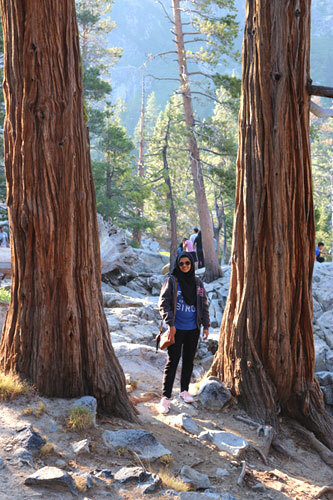 Amongst the places I visited outside Stanford, Lake Tahoe was the most memorable. From hiking in the wilderness, to doing BBQ in a bear-zone to stargazing in complete darkness and spotting falling stars, I witnessed nature at its best at Lake Tahoe. This trip also introduced me to Becky, who is a gem of a person. Not only did Becky let us stay at her house, she even cooked us a halal Mexican dish called Picadillo, which we were amazed to discover, tasted just like our Pakistani dish Aloo Keema. But as fun and exhilarating all of this was, it was not all beautiful and smooth. From having no clothes and belongings in the first week to getting lost in Palo Alto without a sim card, to having a severe neck pain, to later being stranded on an airport with a broken suitcase (my luggage was cursed throughout this trip), there were times when I lost all hope. But amongst all this, not for a second did I feel like the whole trip wasn’t worth it. In the past two months I have gotten better at design, painting and communication, and have gained a lot of self-confidence. I can easily say that this experience has helped me become a better version of myself. Living alone, doing my own laundry and groceries, meeting new people and professionals, it all gave me exposure to a world I don’t have access to in Pakistan. The program also helped me create networks and meet people who will continue to influence my life in their own ways. 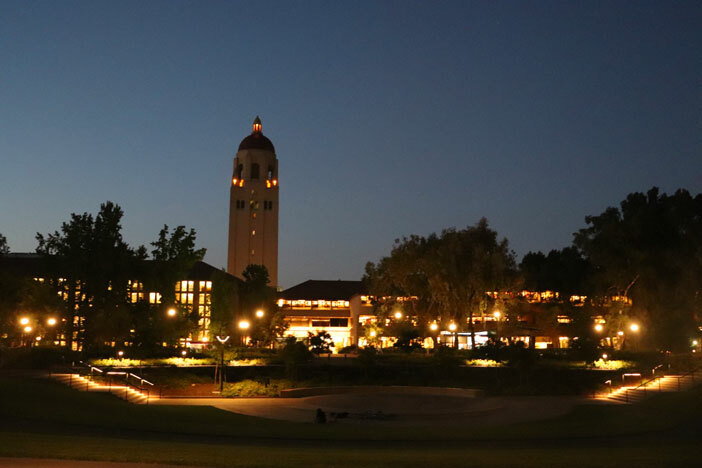 Stanford had something new to offer me every single day, and that’s what made it so special. I got used to that lifestyle and eventually it started feeling like home. It was not easy to say goodbye to the place and people with whom I had spent two of the best months of my life, and also that free ice cream from our dining area that I absolutely loved. Stanford has given me so much, and made such a difference for me, that it’s hard to believe that it wasn’t just a dream. I have come home with Habib friends who are now like family, a good GPA, a lot of memories and experiences, new friends, acquaintances, contentment and a lot of chocolates…so I’m definitely not in a position to complain about anything. But I’m also sad for leaving behind something extremely beautiful that can never be replicated. It seems like a dream already, but a beautiful one, and one which I shall remember for the rest of my life. 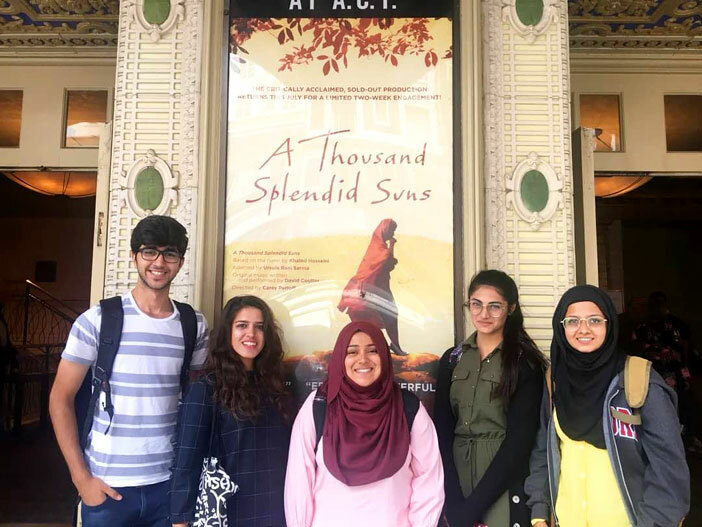 This blog was written by Abiha Batool, Senior at Habib University’s School of Arts, Humanities, and Social Sciences majoring in Communication & Design, Class of 2019.